Hey friends! I'm so glad you guys are enjoying the house tour I posted yesterday on Instagram of HDawg's bedroom and bathroom. For those of you who didn't see my posts over there, I've decided to share more of our "before we moved in" house tour shots on my Instagram account (@tenjuneblog). There are just soooo many photos that haven't made it to a blog post yet, so I thought I'd take advantage of the new multi-photo swipe tool and share these tours as some mini-posts on Instagram instead! Let me know what you think and let me know if you have any questions about the spaces! Next up, I'll be sharing Lu's little girl room, my home office, our dining room and our laundry room! 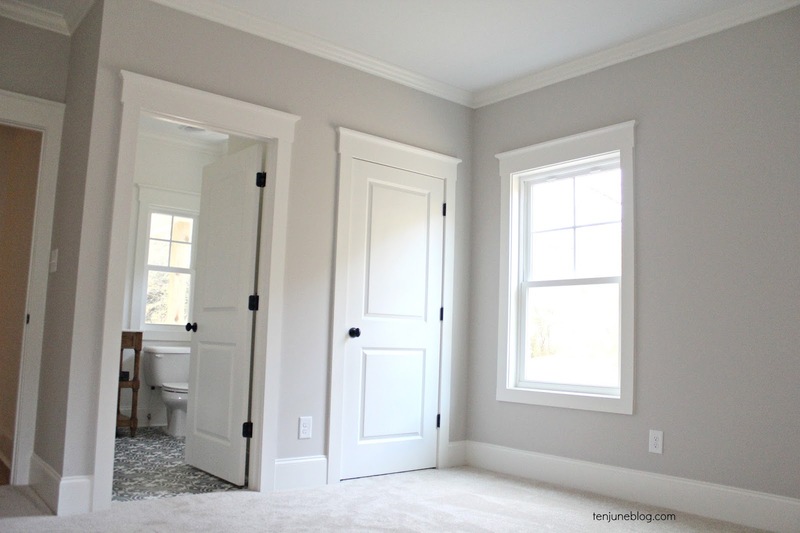 Today, here on the blog, I wanted to share something that I spent a TON of time researching during our build process- farmhouse trim. To be honest, I had no clue about trim work. When our builder started throwing out phrases like "cove moulding" I basically had to Google interpret what he was saying. We started with saying to our builder- here's a photo of what we like! To which he would reply- that is four times more expensive than your budget! #ouch And the funny thing is that we didn't even want anything fancy or ornate, just some basic, simple farmhouse trim. Clean lines. True to the modern farmhouse design. That's it. 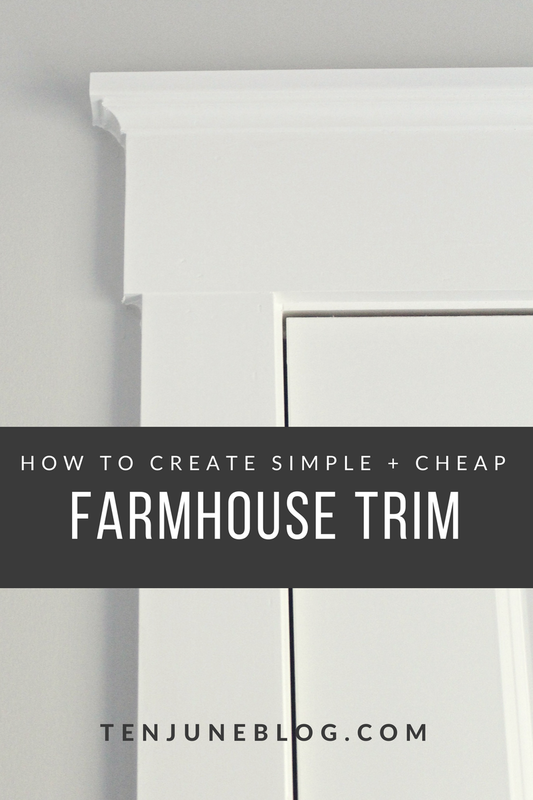 So we headed to the local hardware store and essentially played with the pieces they had there to come up with our own formula for simple + cheap farmhouse trim. David and I met with our carpenter team (who by the way, may have been one of the best teams during our house build, they were amazing with all of the custom pieces they did for us! but that's another post!) and they helped us confirm what we were looking for. So here it is- the magic formula! 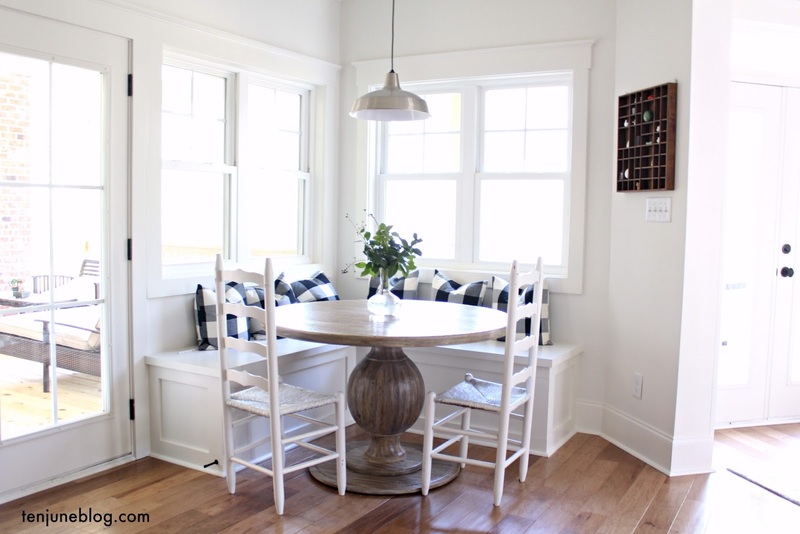 Our combination for the perfect, simple + cheap farmhouse trim. Our doors and windows are all identically framed. We framed each door/window on either side with a vertical 1x 4, then on the top piece with a horizontal 1 x 6. Above the 1x6, we added a horizontal simple cove moulding strip (the rounded part) and on top of that, a horizontal 1 x 2 firring strip. Four main pieces, people and you get this beautiful trim work. I absolutely love how it turned out. I love that it's not ornate and I love that it matches the style of our house (this would also work very well in a Craftsman house). I love that we didn't add another horizontal strip between the 1x4 and the 1x6 (something we went back and forth on for awhile and ultimately decided against to keep it... wait for it... simple). Did I mention I love this trim? 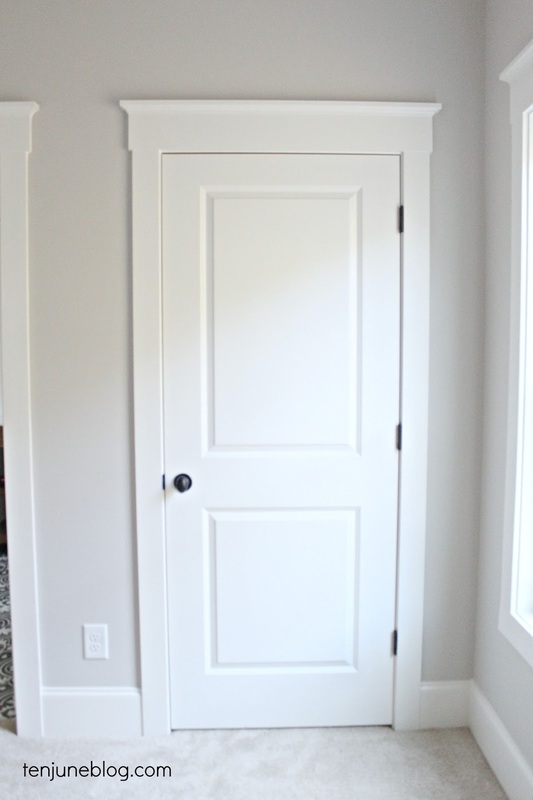 ; ) We also added a few other things around the house in terms of trim work to give it an "old school" farmhouse touch, like transoms over a few of the interior doorways. They bounce around so much light and make our already 9 foot tall ceilings look even larger. It's all in the details! 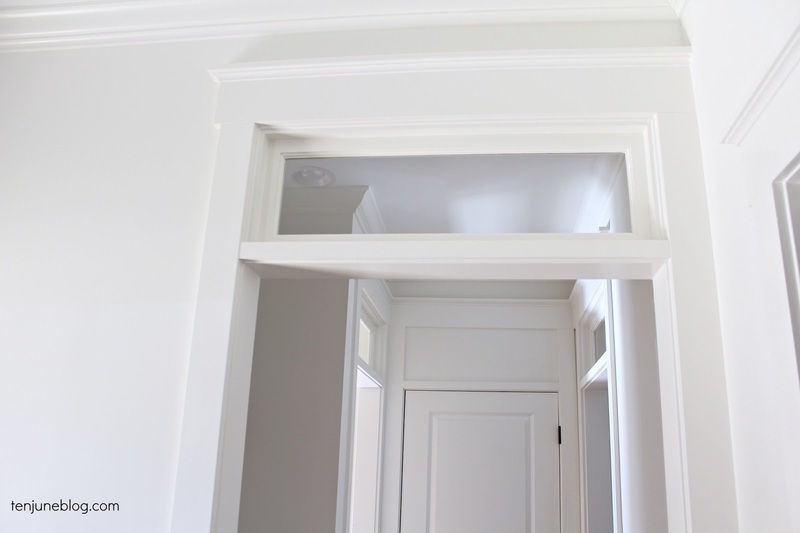 Have you ever tried your own trim work? This stuff ain't no joke! Hi Michelle, would you mind sharing what ya'll used for the baseboards and crown? I have saved this post because it is a GREAT resource for our future build! Thanks for sharing your beautiful new home with us!